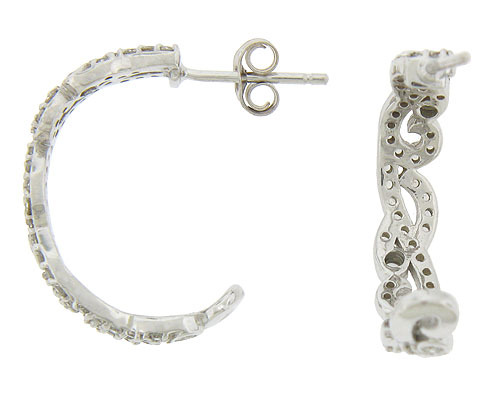 Floral inspired cutwork and flowing vines form these antique style earrings. 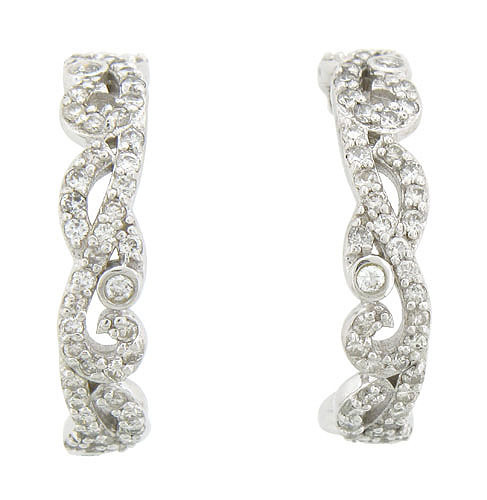 The antique style earrings are frosted with fine faceted diamonds and set on posts. The earrings are set with .60 carats of fine faceted diamonds and crafted of 14K white gold. They measure 3/4" in length, 1/8" wide.